I picked up a few pounds of cod at the grocery store because it was on sale. Fish is supposed to be good for you. I’m not sure how healthy cod is compared to other fish, such as salmon, but I figured I would give it a try anyway. All I had to do was figure out what to make with it. I had some heavy cream in the refrigerator that I needed to use and some potatoes in the pantry that didn’t look like they would last much longer. 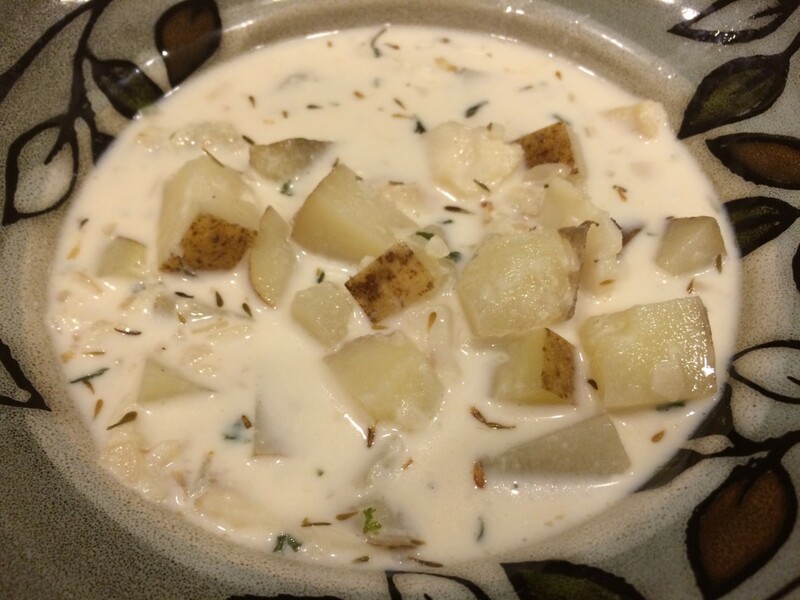 I decided to try to make a “chowder” since that would use up the cod, heavy cream and the potatoes. 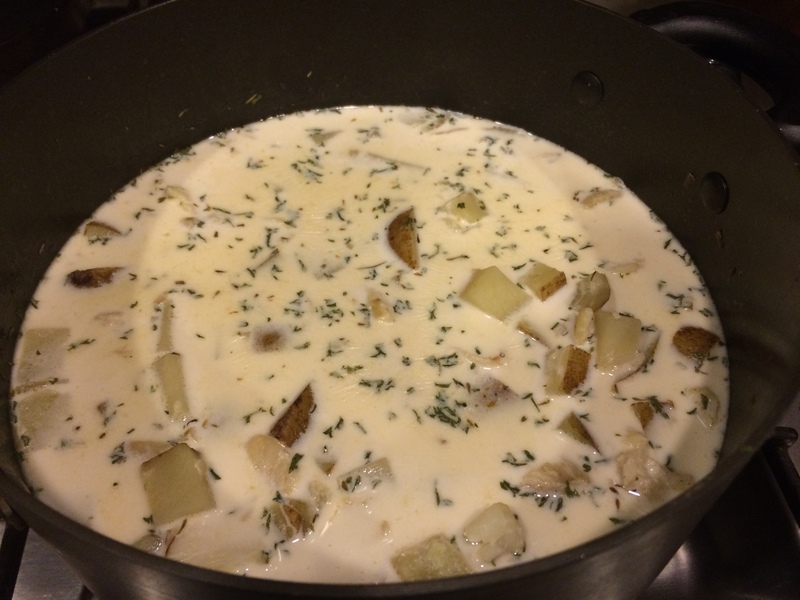 I love clam chowder, so I figured why not try something similar, but with fish instead of clams. This soup isn’t thick like clam chowder. It is a thinner soup, but is full of chunky goodness. 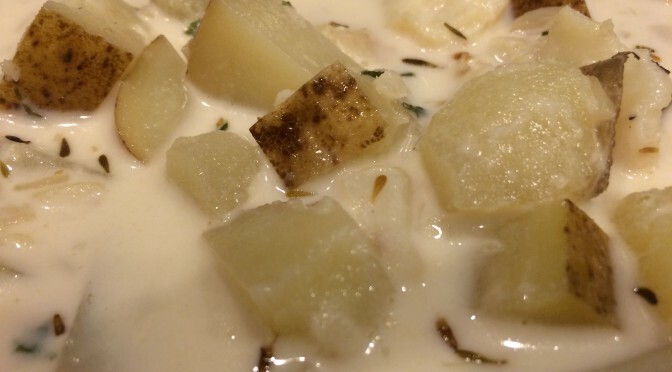 There are thick pieces of potato and fish in every spoonful! In a large pot, over medium heat, heat the oil and butter. Add the onions and saute until softened, about 5 minutes. Add the wine and continue to cook until the wine has been reduced by about half. Add the potatoes, clam juice, bay leaf, thyme, salt and pepper. Bring to a simmer and cook over medium heat until the potatoes are almost soft, about 10 minutes. Heat the heavy cream in another pot until warm, but not boiling. 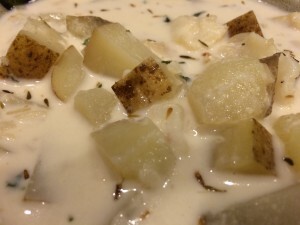 Add the fish and heavy cream to the potatoes. 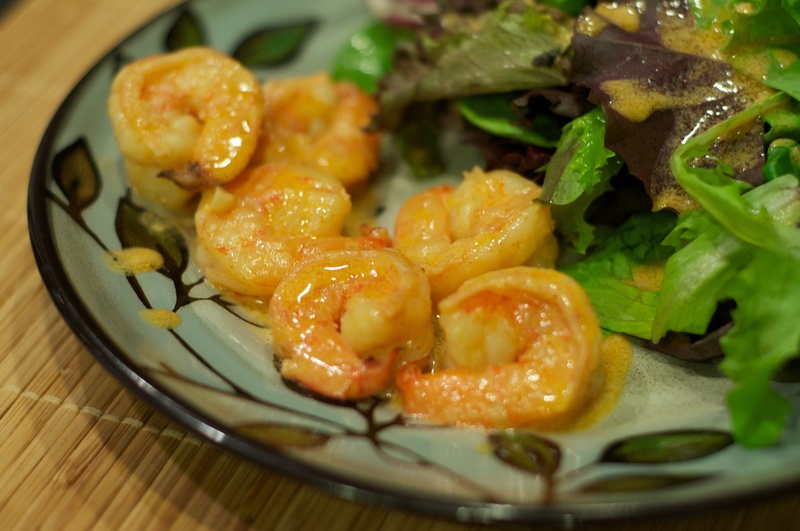 Cook over low heat until the fish is fully cooked, about 10 minutes. Keep an eye on the soup. Allow it to simmer, but do not allow it to boil. Add the parsley. Allow the soup to sit for about 30 minutes. The soup is better if the flavors are allowed to meld together.